Product Dimension : 14" x 22"
Imprint Area : 13" x 2.5"
A handy full-year-at-a-glance size 14 x 22 in. 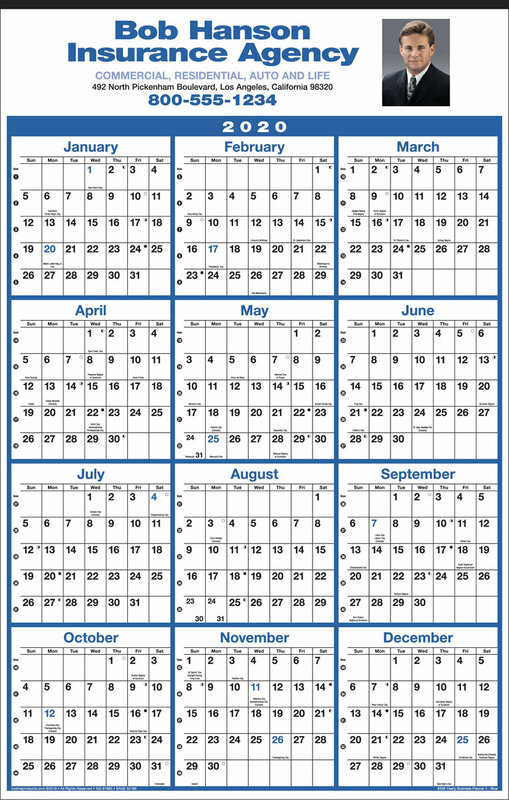 calendar with easy-to-read date blocks. Grid available in 10 different standard colors: Blue, Green, Red, Burgundy, Orange, Yellow, Dark Green, Brown, Process Blue and Reflex Blue. Full color AD copy imprint included in price. Product is tinned at the top.